Falvey Memorial Library :: Selected Blackwell Companions now available online! Selected Blackwell Companions now available online! Falvey recently acquired a number of online Blackwell Companions to Sociology. The essays published in this series are suitable introductory reading for students. Each chapter includes a detailed list of references. The e-format (pdf) facilitates the integration of specific chapters into online syllabi and/or WebCT course modules. All links to individual chapters are routed through a library server, which will prompt students and faculty alike to authenticate themselves, thus avoiding any potential copyright issues. Multiple students can consult each companion simultaneously. Includes chapters on Durkheim, Marx, Weber and Parsons among others. Includes chapters on Emerson, Foucault, Elias, Habermas and Butler among others. Includes chapters on contemporary sociological theory, the future of social theory, the sociology of religion, demography, and the sociology of the body among others. Divided into 6 parts: Crime, justice, and societies – Juvenile delinquency and justice for youth – Punishment and its alternatives – Gender and the masculinity of crime – Capital, power, and crime – Globalization, crime, and information. More than 30 essays on all aspect of the field. For a complete lists of all Blackwell Companions to Sociology available at Falvey, print as well as online, click here. 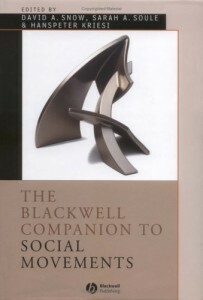 Links to the online Blackwell Companions to Sociology can be found in the catalog, on the Library’s subject guides for sociology and criminal justice as well as under E-reference – Sociology.